Playdough dates back to the USA in the 1950s when it was originally a compound used to clean wallpaper. Its popularity is reflected in its sales. More than two billion cans of Play-Doh were sold between 1955 and 2005. In 2005, Play-Doh was being sold in 75 countries – 95 million cans a year. 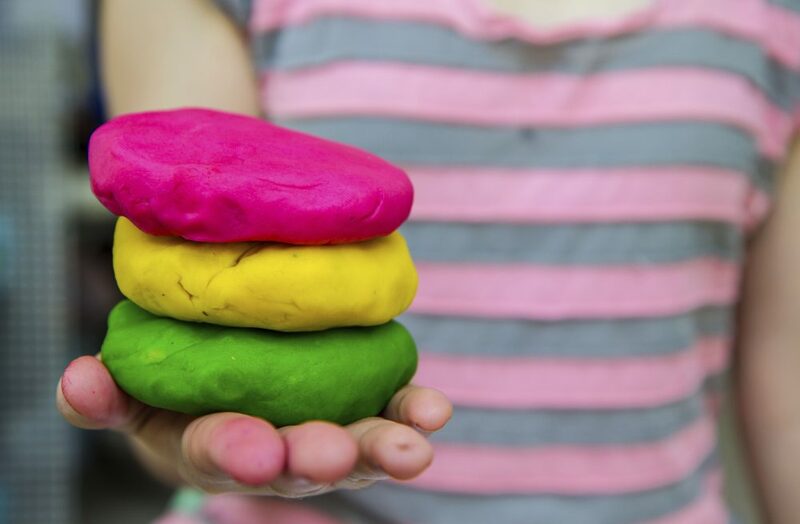 Every child loves playdough and there is no reason to buy it when it is so easy to make. We have included four recipes for you to choose from. The amount of playdough each recipe makes varies. 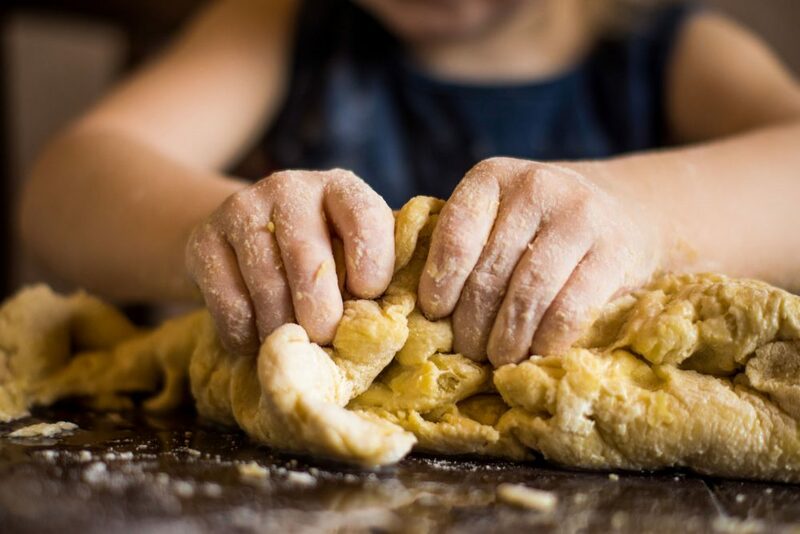 Also, some require cooking or hot ingredients, and others are no-cook, which means you can involve your kids in making the playdough – a fun project in itself. Step 1 – Mix the dry ingredients. In a mixing bowl, combine the flour and salt. Stir until the mixture is blended evenly. Step 2 – Mix the wet ingredients. In a saucepan, bring the water to a boil, and then add the food coloring and vegetable oil. Stir until mixed. Step 3 – Combine wet and dry ingredients. Stir the boiling liquid constantly, and slowly pour the dry ingredients into the saucepan. Step 4 – Continue to stir. Stir until the mixture is the consistency of stiff but smooth mashed potatoes. If you need to, add flour if it is too wet and water if it is too dry. Take the pan off the stove and allow the playdough to cool enough it can be touched. Step 6 – Remove your playdough mixture from the pan and knead until it is blended and smooth. Add a tablespoon of alum to the dry mixture to make the play dough less palatable to a child, reducing the likelihood that a child will eat it. Alum also works as a preservative to help slow down the growth of bacteria. It is non-toxic, but large amounts can cause stomachaches. Add two tablespoons of cream of tartar to increase elasticity. Add a few drops of glycerin to add shine. To make playdough without using heat, follow the directions above, but do not heat. Step 1 – Combine dry ingredients. Step 2 – Add wet ingredients to dry ingredients. Step 3 – Stir and adjust ingredients if necessary. Step 5 – Keep mixing until mixture ingredients are evenly distributed through all the dough. Step 6 – Knead the dough on a flat surface until it feels smooth and even. A quick recipe, this one lets you have fun with the kids, because hot water and a stove are not part of the process of making this playdough. Step 1 – Have the kids mix all the dry ingredients the large mixing bowl. Step 2 – Mix water and food coloring in the small mixing bowl. Step 3 – Slowly add the colored water to the dry mix while mixing with a wooden spoon until all of the water is absorbed. Step 4 – Have the kids mix the playdough with their hands until it is smooth and elastic. A playdough that only lasts a few days, store it in an airtight container in the fridge between uses. A large batch of playdough is fun when you want more than one color or have more than two kids who will be using it. Since this recipe calls for boiling water, you may not want younger kids involved in the process of making it. Step 1 – Mix the flour, salt, cream of tartar, and oil in a large mixing bowl. Step 3 – Add colored water to the dry mix in increments until the dough feels the right consistency. Step 4 – Stir until combined. Step 5 – Add glycerin. Step 6 – Cool dough. Step 7 – Knead until all the stickiness is gone and the playdough is a perfect consistency. Note: Add flour if too sticky and a bit more water if too stiff. When not being used, store the playdough in an airtight container – a sealable plastic bag or plastic lidded container. If you store the dough in the refrigerator, mold and bacteria will not grow as quickly. Throw out dough after ten days. Different recipes call for different ingredient ratios. You may need to try a few variations to find out what recipe and ratios work for you. Divide you playdough into different batches before adding color is you want more than one color. Let the kids help with whatever they can as making playdough teaches them to follow directions. Additionally, it is a fun project! Try not to let your playdough be out for an extended amount of time because mold will grow on it. 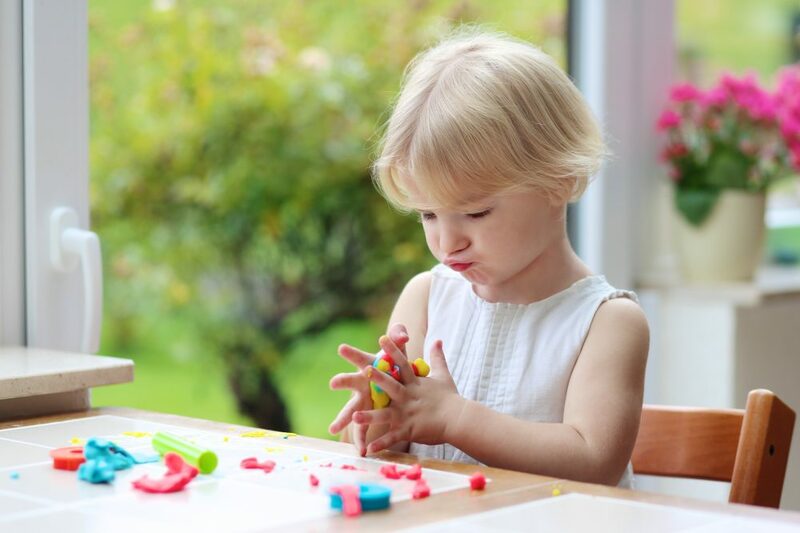 Make sure hands are clean when making and using playdough to avoid bacteria buildup. Keep playdough away from pets as the salt content can be harmful to them. 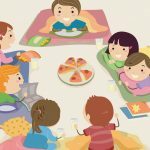 Although playdough will not harm your kids tremendously, supervise their play to make sure they do not eat it – it can upset the stomach. 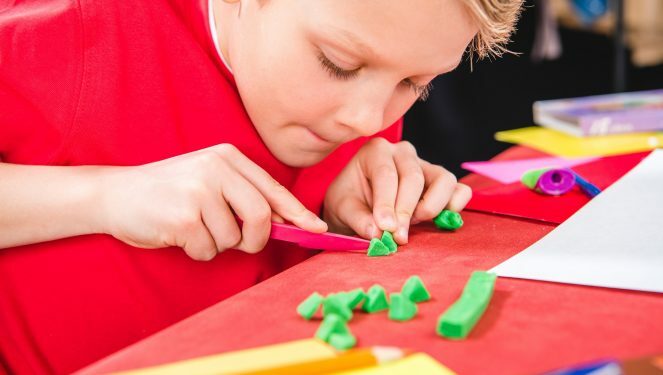 Making playdough is fun and easy and makes a great family project. Homemade playdough is much more inexpensive than the store bought kind. 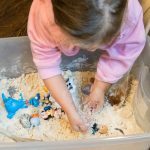 Whether you choose our recipe for a small, quick batch, or decide to make a large batch with several colors, your kids will love this activity and the items they create from their homemade playdough.